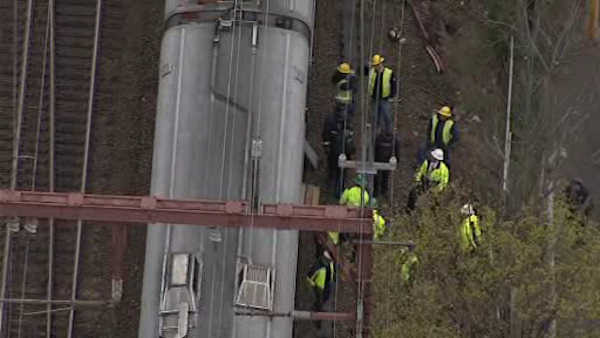 EAST ORANGE, New Jersey (WABC) -- The work week got off to a rough start for New Jersey Transit riders who experienced delays on the Monday morning commute due to problems with overhead wires. An NJ Transit train stopped in East Orange, and some passengers were put onto buses, while others were walked onto another train which was pushed by a diesel engine for the rest of its journey. There were 45-minute delays reported on the Morris & Essex and Gladstone lines. The delays stemmed from an overhead wire problem on Broad Street in Newark. NJ Transit buses were cross-honoring rail passes.